Go to	Group SIZE ? No problem! Our 56 Passenger and 35 Passenger Mercedes Benz Buses makes any size group comfortable. You will feel like VIP guests pulling in to your event with these beautiful coaches. Not to mention being treated like VIP by our exceptional staff. United CoachLine connects customers with their very own personal agent who works with them from beginning to end. This ensures we provide our customers with the best possible booking experience. Safety is our number one priority. That’s why our drivers and staff go through rigorous background checks. As well as occasional “pee pee” samples. UnitedCoachline.com is scanned on a regular basis for security holes and known vulnerabilities in order to make your visit to our site as safe as possible. Click on the icon above for more info. All United Coachline coach buses are equipped with on-board restrooms. Our restrooms are spacious and comfortable for all passengers. It’s 2018, Free WIFI is a must!! Every United CoachLine comes equipped with High Speed Internet Connectivity. All Unied Coachline buses are equipped with multiple HD flat screen TV’s along with intercom microphones and audio connectivity with the best surround sound available. Ready to make even the longest trip fun and interactive. All United Coachline coach buses are equipped with on-board 120V power outlets. Don’t worry about your batteries running low on your trip. Charge a computer, phone and any type of electronic device simultaneously.  United CoachLine inc. is a family owned bus charter company serving the New York, New Jersey and Long Island area. Our goal is to make your trip a memorable success. Safety is key, and we are dedicated to providing secure and reliable transportation. From your first encounter, you will be connected with a friendly personal agent to oversee your entire trip. Our promise to you, is that our priority is your satisfaction. We have been in business for over 20 years. Our experience has taught us many valuable lessons, and when you choose to ride with us, our knowledge is reflected in our award winning customer service. We take pride on making your trip as comfortable and stress-free as possible. Book with us because you are our top priority. Leave transportation to us. One less thing to worry about. United CoachLine will have a beautiful shiny bus waiting for your guests. Your guests will appreciate the comfort and luxury, especially when dressed to kill. You don’t get awarded excellent customer service for no reason. Ask for me and I will personally make sure you’re taken care of. 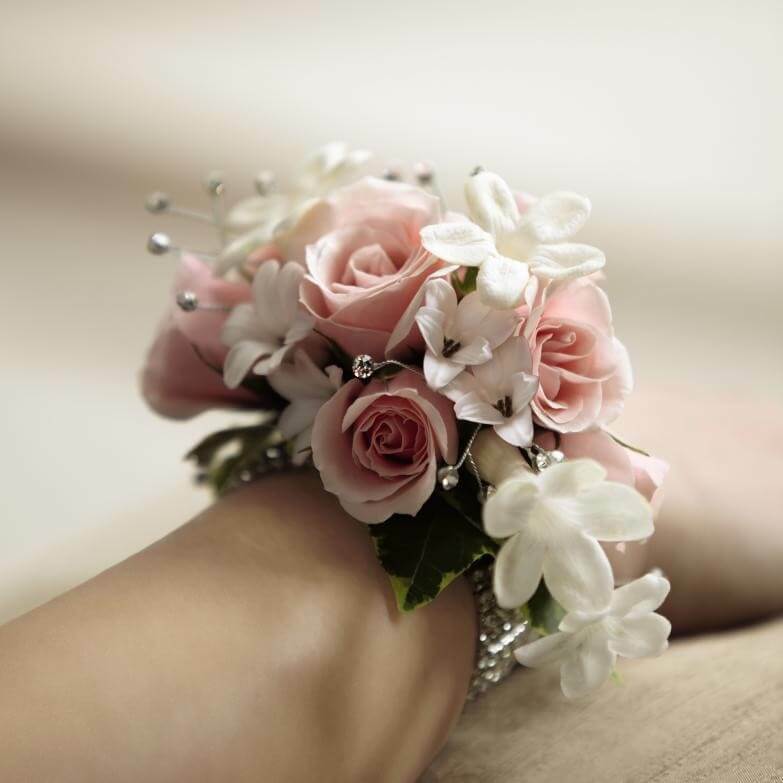 One of the most important nights in the school year for graduating high school students is the night of their high school prom. Ready For Casino Trips? 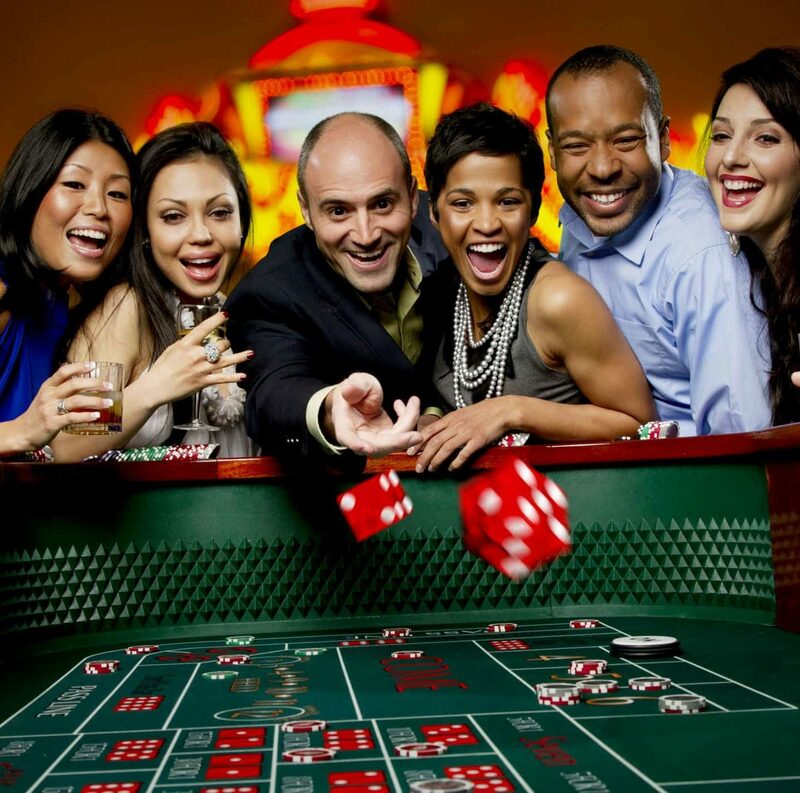 United Coachline is partnered with every casino in the New York, New Jersey, Connecticut and Pennsylvania area. If you arrive on one of our buses, you will receive top bonus rebates from the casinos, making your trip, virtually free! Now that is a good gamble! 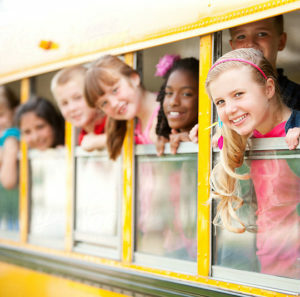 United Coachline ensures that the children arrive to their destination, safe and comfortable. Our climate controlled buses ensure that your class trip is comfortable, no matter what time of year. Each bus is equipped with a restroom, because “its an emergency” happens too often. Our buses also have flat screen TVs to keep everyone entertained. Send us your flight information and don’t worry about the rest. 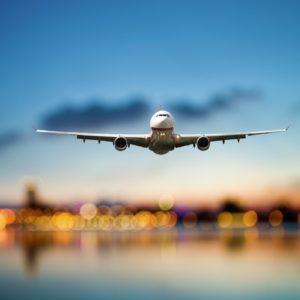 We will track your flight and whether your flight is expected to land early or late, we will be there to pick you up. Meet and Greet is a great feature offered for our private ride services. The primary service is often used for those groups whom are not familiar with our local airports. 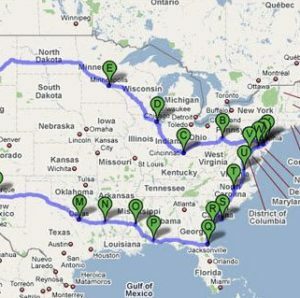 Cross country trips for family reunions, hiking trips or just a tour of the beautiful USA are a joyride, especially when you don’t have to drive. Enjoy the scenery, and pit stops along the way. Think of everything you will get to see along the way. With buses equipped with WIFI, electrical outlets for your iPads and cell phones, TVs and surround sound, and a bathroom, a long distance trip is a pleasure. Charter a bus to Six Flags, Hershey Park, Splish Slash, Dorney Park, or Rent a bus to go to Bush Gardens, Universal or Disney. Decide where you want to go, and we will get you there. 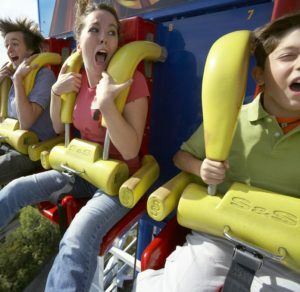 When you rent a bus for a trip to an amusement parks, you don’t have to worry about carpooling, driving, or parking. Pack a cooler, and go have fun, our bus will be there waiting. Whatever your team is, a tailgate is 56 times the fun with 56 of your friends. United Coachline has enough cargo space to accommodate BBQs, coolers, bats, balls and hockey sticks. 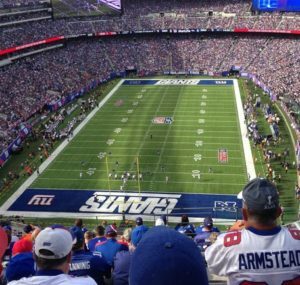 We can transport the entire team and family to your child’s playoff game, and even have snacks and waters waiting. And we won’t forget the baby wipes for those hands. We provide exceptional service that outrankes all NYC Bus Charter. I just wanted to thank you for a seamless and excellent time we had using united coachline and interacting with you personally. You helped us every step of the way and I feel like You are partially responsible for our great time. I look forward to our next trip. Clean clean clean.. Good service great driver. I recommend United CoachLine to everyone. Will definitely book again. Want to see our fleet?